Last week, ABC's "Good Morning America" announced the contestants in this coming season of "Dancing With the Stars." 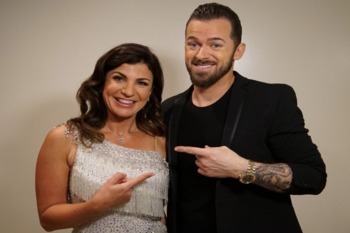 Now, you may be wondering what ballroom dancing has to do with vision loss; the answer, one of the contestants in this year's competition, Danelle Umstead, lost her vision due to retinitis pigmentosa. Umstead is an American Alpine skier and Paralympian who won a bronze medal at the 2010 Winter Paralympics. Please contact SDCB to learn more about the programs we offer; we can help people living with vision loss in California regain their independence.